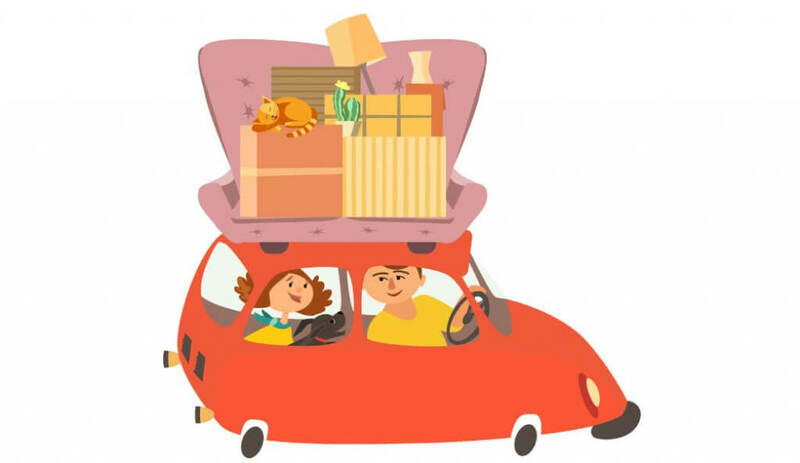 Moving to another city or a state can be emotionally draining. You have to uproot from a place you have called home and then search for a new base amidst unknown surroundings. Relocating is a challenge on a lot of fronts, even for those who do it regularly. While you are in the flow of changing so much because of relocation, you can also think of making certain changes regarding your car insurance as well. Your car insurance policy is valid across India. However, you might want to consider upgrading it while you are relocating. The traffic density is going to be startling if you are moving from a tier 2 city to a metro. Number of accidents happening in a metro is also high as compared to less developed cities. Even if you are moving from one metro to another, upgrading from a basic Third-party Liability insurance to a Comprehensive Car Insurance policy is always a good option. A Comprehensive Car Insurance policy will protect you against financial losses associated with risks such as accidents, calamities, theft, etc. Add-ons are extra coverages that you can purchase along with a comprehensive policy. Go for only those Add-ons that add value to your policy. For example, someone who often drives around with their family is likely to opt for a Passenger Cover Add-on. Or if you are moving from say Indore to Mumbai, you might want to fortify your car insurance policy with the Engine Protection Add-on because the city is vulnerable to flooding. Add-ons are a way of personalizing your policy. When car insurance expires around the time you are relocating, consider having a look at new, digital-first insurers in the market. Digitization has changed the car insurance industry in India. And now you can switch and buy car insurance online in India easily. Claiming insurance is no longer a tedious process with the arrival of new-age insurance providers. There is no need to visit the insurance company for claims or query resolution. You can renew or buy car insurance with zero paperwork and in a convenient manner. Many people might be tempted to purchase a new car for the new location and sell the old one. If you are buying a new car, make sure to transfer the No Claim Bonus component of your old car’s insurance policy to the new one. Car insurance in India is associated with the insured car and the No Claim Bonus is associated with the policyholder. It is a discount offered by the insurer for driving safe and not raising a claim during the policy period. Your car needs to be registered with the Regional Transport Office (RTO) of the state in which you reside. If you are switching states, you need to get a No Objection Certificate from the state RTO in which the car was previously registered. Once that is done, you need to get the car registered again in the new state. Mostly, insurers convey important communication via email or SMS. However, it is suggested to convey your new address to your insurer as well. This way, if the insurer wants to send any official document via post, you can receive it at your new address. Car insurance is mandatory in India as per The Motor Vehicles Act, 1988. Thus, it is suggested to renew your car insurance policy in time as driving without a valid policy is a punishable offence. Apart from the regulatory requirement, if your car suffers a loss during the time your policy is inactive, the insurance company will not reimburse you for it. Make sure to mind the gap and renew your car insurance policy in a timely manner.